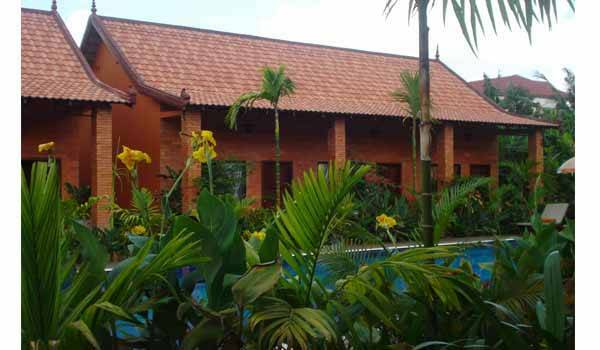 Central Boutique Angkor Hotel features 20 guestrooms located in the two or three bedroom building of the Cambodian Bungalow style. 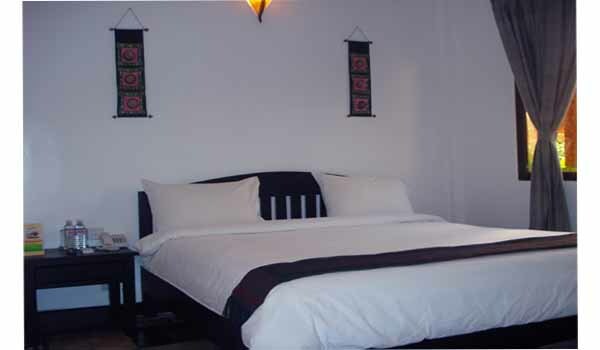 All of our rooms are equipped with double beds or a queen bed, tastefully appointed with Cambodian art décor style furnishing and rooms with terrace are available. All the rooms are facing to the swimming Pool. Bamboo Restaurant is a casual and open air restaurant offers a la cart menu, situated inside the Central Boutique Angkor Hotel premise. 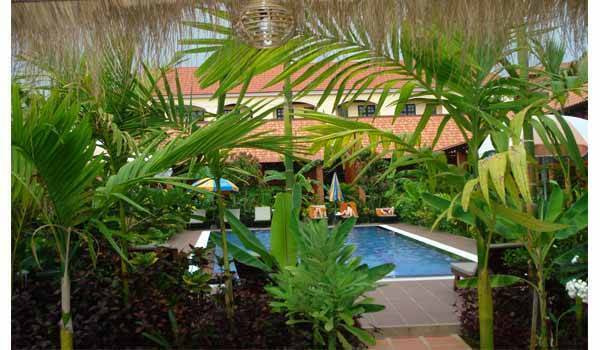 It is reminiscent of a warm Cambodian welcome and friendly atmosphere for chatting, socializing and making new friends. Room Service, available from 10.00 to 10.00 pm from the restaurant menu comprise of Western, Asian and Local specialties. Orange Bar offer all kind of drinks, cocktails and snack serving in the peace and tranquility of the lush tropical garden surrounding our outdoor swimming pool. Poolside Terrace with a relaxing atmosphere in the tropical garden and feeling many flowers surrounding the flat swimming pool, light meals, refreshing fresh fruit and vegetable juice are served throughout the day. 3 Days late cancellation period to arrival one night plus tax will be charged. 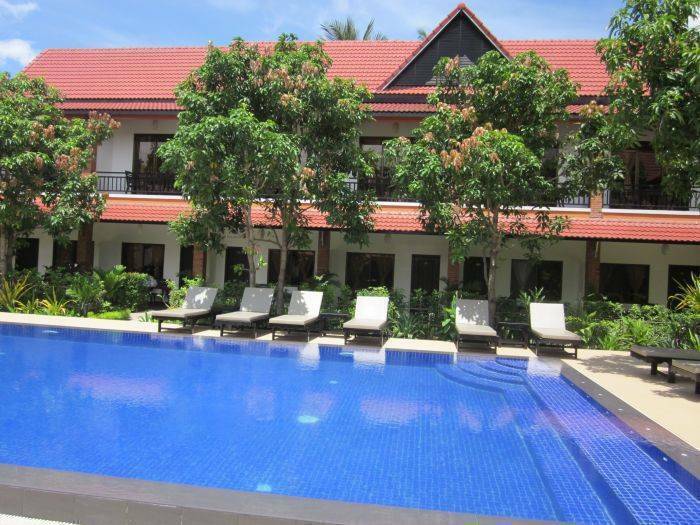 The Central Boutique Angkor Hotel is located in the heart of Siem Reap City, Provide easy access to Pub Street, Restaurants, and Shopping. Just a few minute walk to the Old Market & Night Market. 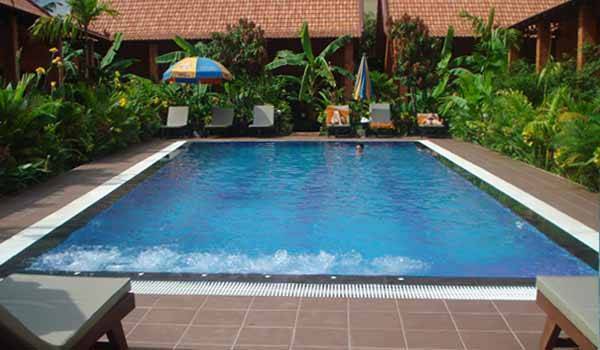 The hotel is situated at about 7 km from Siem Reap International & 7 km from the Angkor Wat temples. In front of Sala Bai Hotel & Restaurant School, Tapoul Village, Svay Dangkum Commune, Siem Reap, Kingdom of Cambodia. From Siem Reap International Airport and Bus station, the transportation takes about 15 mn to the Central Boutique Angkor Hotel and from Boat stations its takes about 30 mn drives to the hotel. The private transportation can be arranged by the hotel for all the direct booking to the hotel with free of charge. 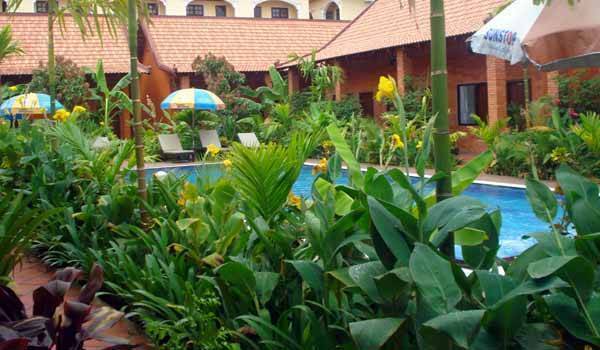 Nearest airport: Siem Reap International Airport, 7 Km.